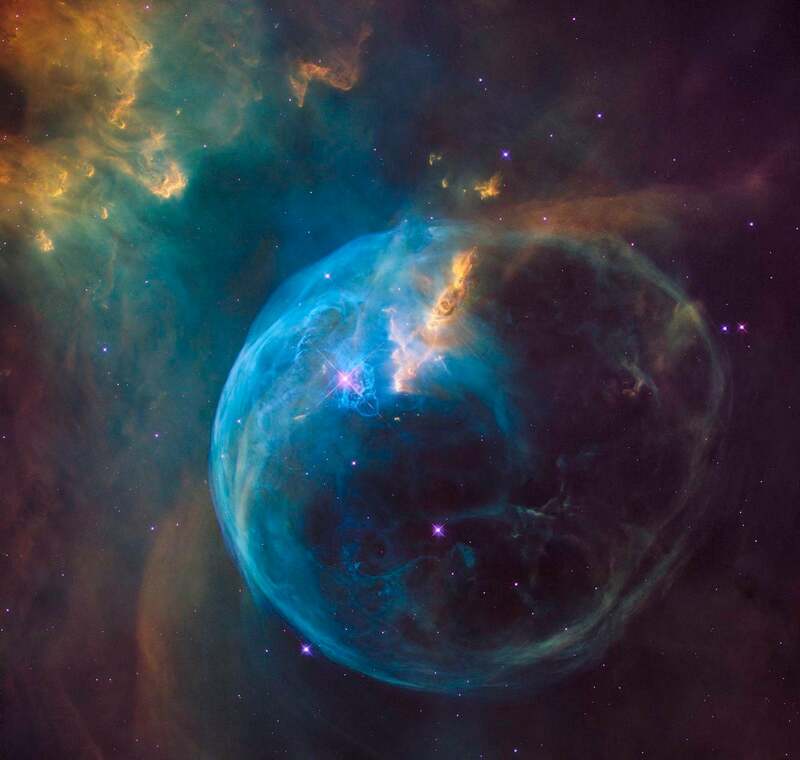 What better way to celebrate Hubble's 26th birthday than by releasing a gorgeous new photo taken by the intrepid space telescope. 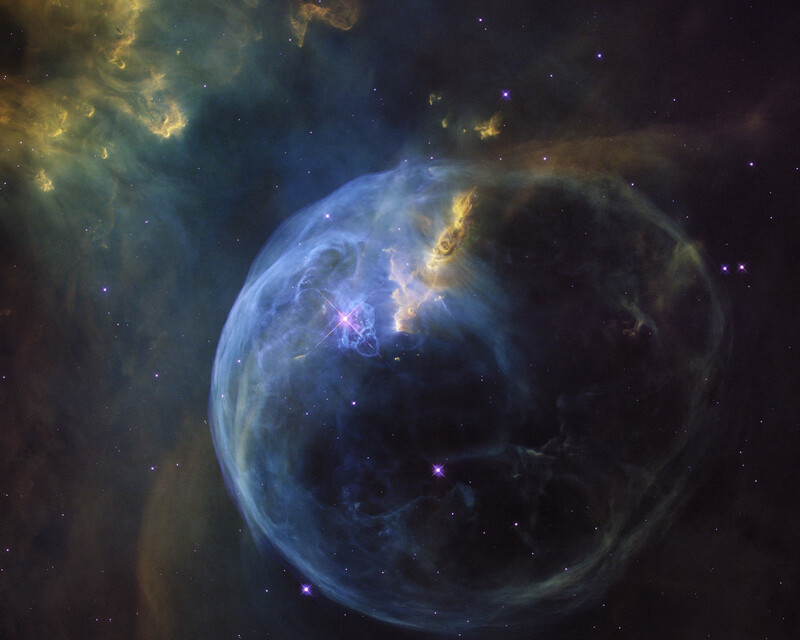 Behold the Bubble Nebula, a massive expanse of gas and dust located 8000 light-years from Earth. The Hubble Space Telescope was deployed to Low Earth Orbit on 25 April 1990 by the Space Shuttle Discovery. 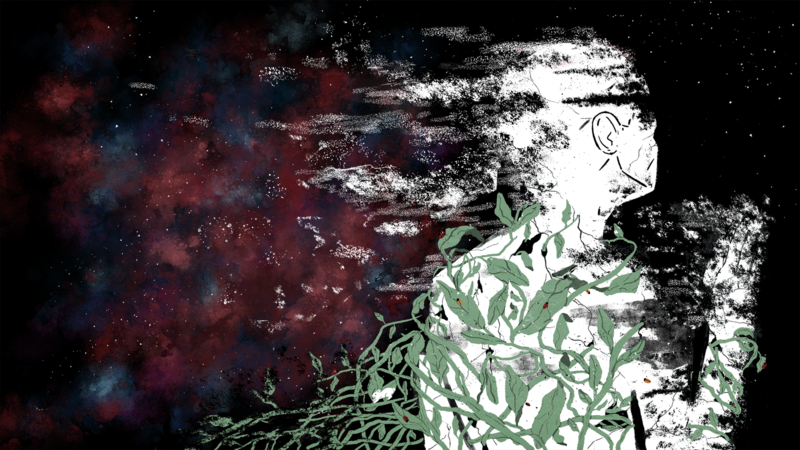 Since that time, it has captured over a million celestial images, many of them now iconic. Despite some early setbacks and several servicing missions, this telescope is proving to be the little engine that could; it still transmits about 140 gigabits of raw science data each week to mission controllers on Earth. 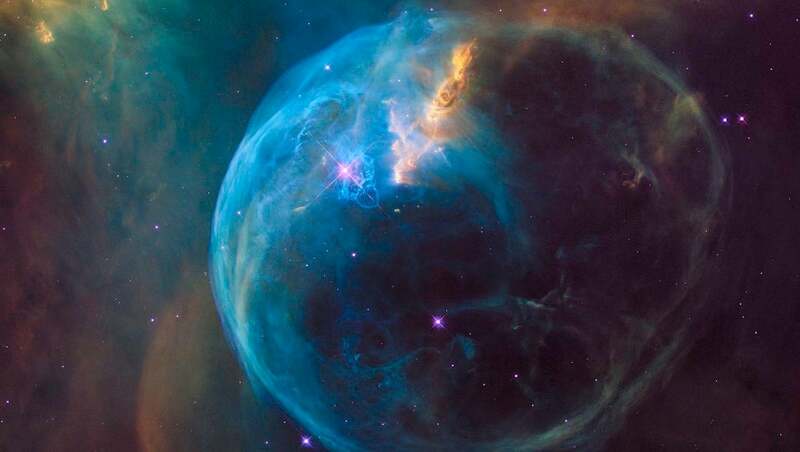 In celebration, NASA released this fantastic new Hubble photo. 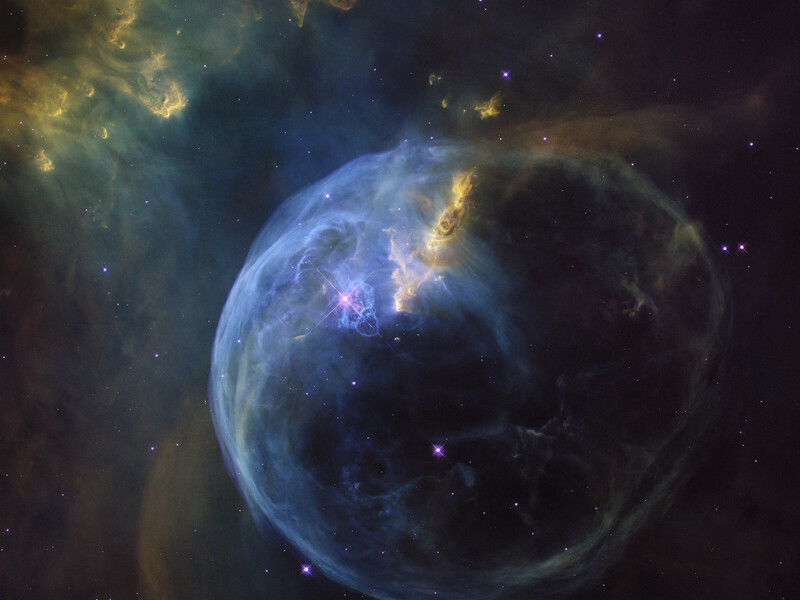 The Bubble Nebula, formally known as NGC 7653, is an emission nebula located about 8000 light years from Earth. It occupies a region roughly seven light-years across. The star at its core is about 45 times larger than our sun, and it will likely detonate as a supernova in about 10 to 20 million years. "As Hubble makes its 26th revolution around our home star, the sun, we celebrate the event with a spectacular image of a dynamic and exciting interaction of a young star with its environment," noted NASA's John Grunsfeld in a statement. 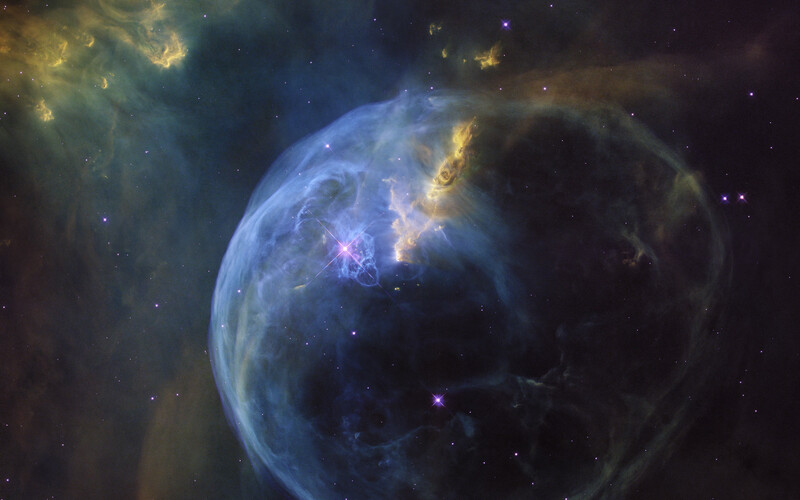 "The view of the Bubble Nebula... reminds us that Hubble gives us a front row seat to the awe inspiring universe we live in."